The conversation on mental health evolved within the last couple of years. However, there is still a general stigma around taking action to seeking help. Many individuals continue to be apprehensive about visiting a therapist to get the unbiased and certified professional help they need to progress in this area. With the right tools to help you deal with your mental health issues effectively, our therapists can agree that this should be the year you consider being proactive about getting the right help. If you feel more mentally and physically exhausted this year than you have ever felt before, it may be due to your lack of healthy boundaries for your relationships. It is effortless to let our children, spouses, family members, and bosses to invade our boundaries, especially if we do not have limits defined. Let this be the year that you figure this area of your life and get your priorities aligned with your values. Perhaps it is verbal abuse from your in-laws, or being taken advantage of by your boss when he needs someone to do overtime, resolve to set healthy boundaries this year so you can curb the stress, anxiety, and anger over being conflicted with your limits. 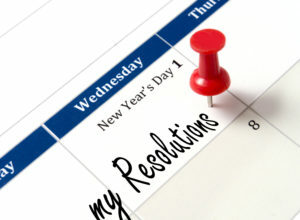 Our therapists recommends that you take this year to focus on your physical health. There is a lot of evidence that your physical health can impact your mental and emotional health. By staying active and well-fed, you will be able to keep your mood boosted and reduced the future risks of depression. Whether that is committing to a physical regiment every week to implement 30 minutes of exercises or making an effort to feed your mind with well-balanced and nutritious meals every day; do something for your body this year! According to our therapists, staying positive and resisting negative thinking is harder than it sounds. It takes effort and intentionality to tune into our happy thoughts and keep a positive attitude. Our culture can fill us with negative input; from the media to our friends and coworkers. Unfortunately, there is a natural tendency for us to dwell on negative thoughts because we view them as being realistic and practical. Take this year to improve your thinking with happy thoughts and to stop thinking that a positive mindset is just wishful thinking. Our most prominent critic is always ourselves, many of the clients of the best therapists in Houston have the common problem of rampant negative self-talk. Self-deprecating thoughts can have an unbelievably negative impact on your mental and emotional health. Make it a New Year’s resolution to be kind to yourself and change that internal dialogue about how you view yourself. Self-discovery is one of the most impactful exercises to lift your mood to a renewed zest for your life. Our mental and emotional is dependent on how we currently know what we see of ourselves already. By introducing new ideas, people, and activities to upcoming this year, we may discover new skills and strengths within ourselves. It opens up new opportunities for us to start a new chapter in our relationships, career, and personal development. Thus, we can vastly redirect ourselves to a new journey of mental health improvement. Self-care is an essential strategy for having strengthened emotional health. As such, our therapists want to challenge you to spend less time stressed and more time for yourself this year. Consider getting more rest to rejuvenate, reducing sleep deprivation and irritability. Adopt a new sleeping schedule this year to stay well rested – aiming for at least 7-9 hours of sleep each night and winding down the use of electronic devices 30 minutes before bedtime. If you have a hard time expressing your emotions and telling others about how you feel, this may be the year you grow in this area. As suggested by the therapists, jotting down your thoughts can be very helpful to your mental wellbeing. Writing down the things running through your mind can ease the worries you have. It can alleviate your anxiety about certain decisions you need to make, making it less overwhelming and more manageable to express. You will be able to improve your communication as well, which helps you progress in your relationships with others. New Year’s resolutions can be hard to sustain if we have past hurts and baggage is laying around that holds us back from being free to improve. Be realistic about what you can let go of and what you may need to work on, whether that’s broken relationships or challenges that you have yet to overcome. Realize that perfection is idealistic, but you can make progress if you put to your long-term goals and let go of any past hurts. You will be better able to have a stronger resolve over your mental state. Regular sessions with a professional can help you make leaps in your emotional wellbeing. 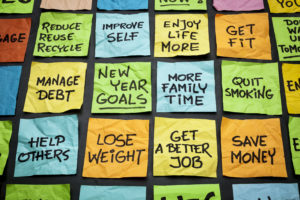 If you had a hard time this last year in your personal growth, there is nothing wrong with seeking a bit of assistance to make some new goals for yourself. This year, many clients of the best therapists of Houston have received treatments and therapy that helped them in meaningful ways to overcome challenging events and experiences. There is no shame in seeing a mental health professional, so make it your New Year’s resolution to seek the help you need this year. You can contact us at the Grief Recovery Center for more info today.